Click the gear icon at the top right of the dashboard, and select the “Configuration” menu item. Select the “System Settings” tab. 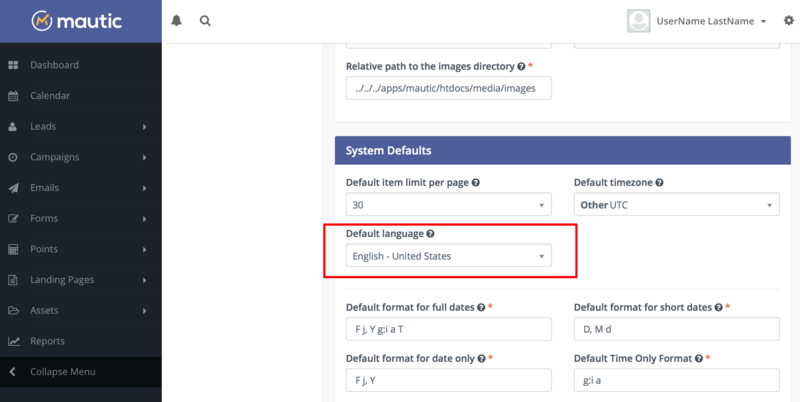 In the “System Defaults” section, select your language in the “Default language” list. Click “Apply” to save your changes.